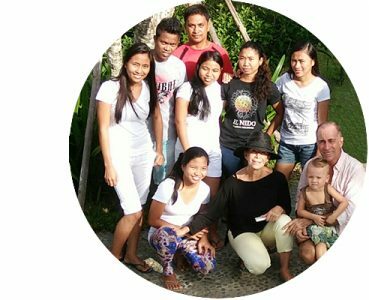 In 2011, Sulubaaï Environmental Foundation was born out of a common love for the ocean and desire to help the local communities of Palawan. We decided to implement the first project site on Pangatalan Island. At that time, we found the island in various states of damage so our first task was to prevent further negative impact. In March 2016, we started focusing our efforts on a 45-hectare Marine Protected Area (MPA) surrounding Pangatalan island. Our development model comprises people, environment, and the economy hinged on a sustainable strategy. We’re a team of ocean lovers who decided to unite our passions and skills to establish Sulubaaï Environmental Foundation. Chris and Fred, founders of the foundation, are in charge of general management, financial planning, and construction activities on the island. Melanie and Thomas, experts in marine ecosystems preservation and management, are project managers for the foundation’s activities. At least 20 staff members, who are locals from nearby villages, contribute to the warm hospitality on the island. 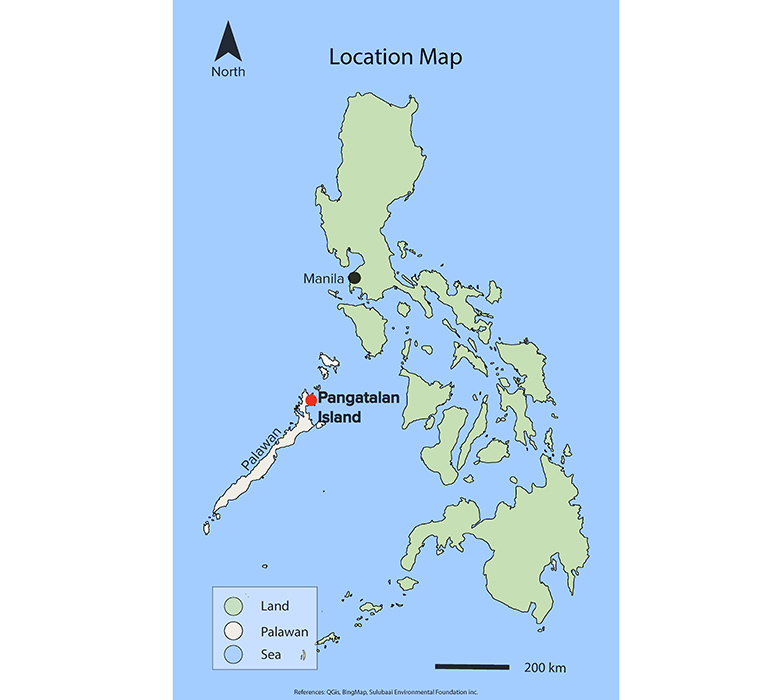 With an area of 4.5 hectares, Pangatalan Island is located on the northeast coast of Palawan (Philippines) within Shark Fin Bay. 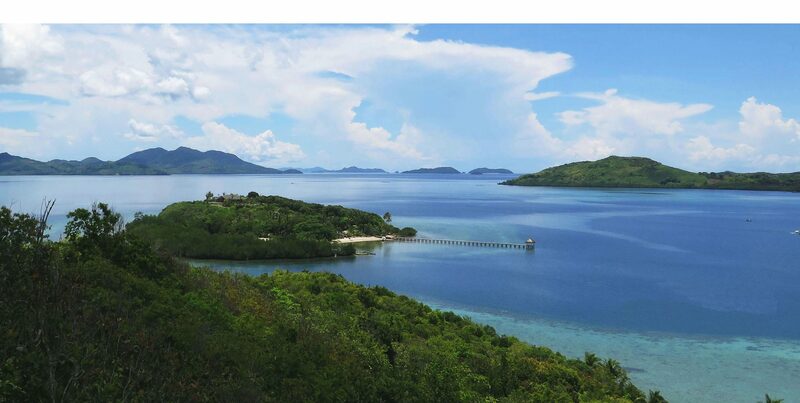 Since March 2016, the island has been surrounded by a 45-hectare Marine Protected Area (MPA) established by Sulubaaï Environmental Foundation, the barangays of Depla and Silanga, and the municipality of Taytay. Connected to Palawan Island via a shallow reef, the MPA boasts a marine-rich environment where at least 13 ecosystems have been identified. Our mission to conserve, protect, and restore the natural resources of Palawan means we don’t just raise awareness; we initiate and lead the change. We organise meetings and events that promote environmental awareness and sustainable change in Taytay, in Palawan, and in the Philippines. Visitors: We share our values and knowledge with all our guests, so they can understand and contribute to our mission. Team members: We work with partners and volunteers to implement our activities and spread the word in their social groups. Community: We collaborate with different groups to share and bring awareness to a wider audience (schools, diver centers, etc.). Institutional support: We work with authorities as part of the Marine Environmental Protection (MAREP) squadron and with Pangatalan Island as a Philippine Coast Guard Auxiliary base.